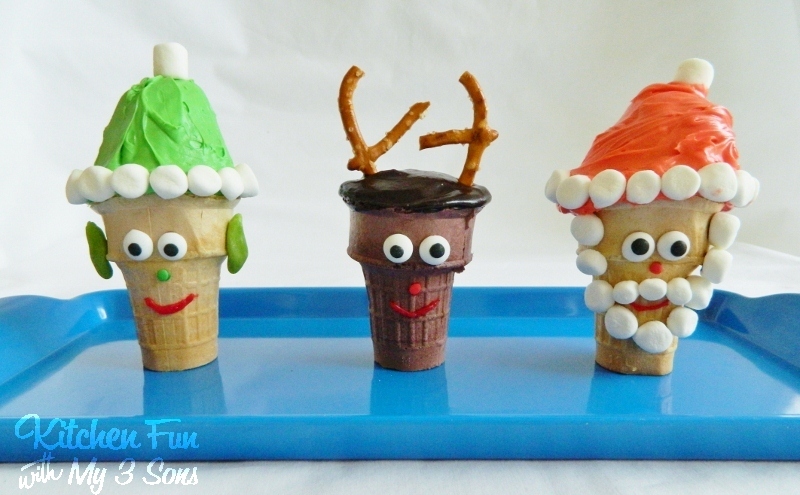 We love coming up with fun cupcake cone ideas and we decided to create these adorable Santa, Elf, & Rudolph Cupcake Cones! These Christmas cupcakes are very easy to make and so much fun for the kids to help decorate! We thought that coming up with 3 different cones would maybe up our chances a bit and also gives all of you different cone ideas to choose from or make all of them as a group! Pre-heat your oven to 350. Place aluminum foil on muffin tins and poke holes in it. Place the ice cream cones in the holes. This will prevent tipping. Mix the cake mix according to directions and pour into the cones filling almost half way full. 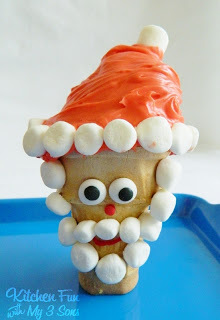 Make some regular cupcakes as well to make the hats on Santa & the Elf using left over batter. You could also use just frosting, but that’s a lot of frosting for kids…messy stuff! Bake for about 20-25 minutes until a toothpick comes out clean. Let cool. Lay the cone down on it’s side and attach the edible eyes, mouth, and nose using the red cookie frosting. We used red sprinkles for the nose. 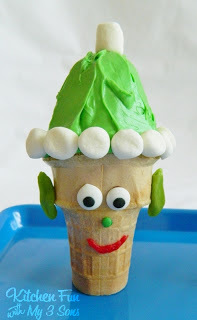 Cut another cupcake to a angle and place on top of the cone. Color some of the white frosting using red food coloring and frost the top cupcake. We placed a marshmallow on top. We cut mini marshmallows in half and decorated the hat. We attached the marshmallows halves on the cone using the cookie frosting to look like Santa’s beard…. Decorate the face the same way as Santa. Frost the top using chocolate cookie frosting. 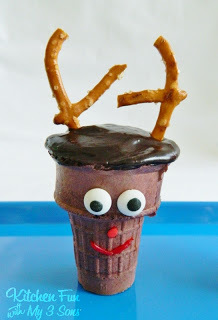 Break a Pretzel Twist in half and poke them in the top for antlers…. We hope your like our fun Christmas Cupcake Cones & your kids will have so much fun creating their very own Santa cupcakes, Elf cupcakes, & Reindeer cupcakes all by themselves! Check out the products that we used to make these fun Christmas treats here (affiliate link)…. 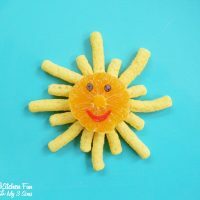 Sunshine Snack and a Plum Organics Giveaway! these are so really neat!!! I love them! These are SO sweet! 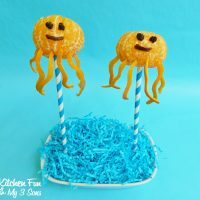 My kids would love to help make these, and well, of course eat them too!! Thanks so much for entering!! Those are so creative! What a fun idea! They made me smile … so cute! Awww, too cute! 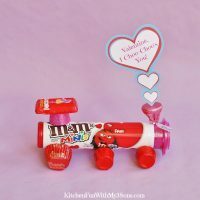 I love these fun ideas for kids! Where do you find Chocolate Ice Cream Cake Cones? I can only find the regular vanilla kind. Thanks!